It is a privilege to serve at the Altar of our God. Servers have a responsibility to serve with dignity and reverence. 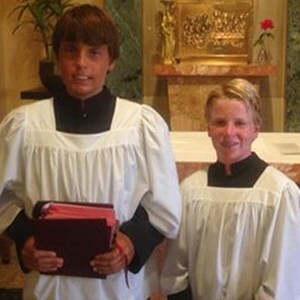 The primary roll of the altar server is to assist and support priests and deacons in the celebration of the liturgy during Mass. This is done through the servers' prayerful presence, specific actions and active participation in the liturgy (hymns, responses, etc.) setting an example to the congregation. 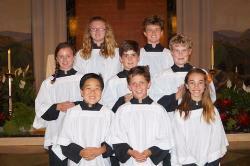 Youth are invited to be formed in the Ministry of Altar Serving during the second half of the 5th grade school year. Servers need to know all the prayers of the Mass and be active members of the parish and believe in the teachings of The Holy Catholic Church.